If there's one thing I'm always pining after, it's got to be Rapunzel-esque, super long locks. The dream is to one day have my own long flowing mermaid hair, but for now when I feel the need to embrace my inner long-locked princess, I turn to extensions. I've tried my fair share of extensions in the past and if you've been reading my blog since way back when you'll know I only ever use synthetic extensions. Partly due to not knowing where the extensions are sourced and partly down to the simple fact that the thought of someone else's hair on my head makes me shudder profusely, synthetic extensions will always remain my extensions of choice. Luckily, more and more companies are realising that not all of us ladies want the real deal, and therefore releasing synthetic versions of their popular styles. 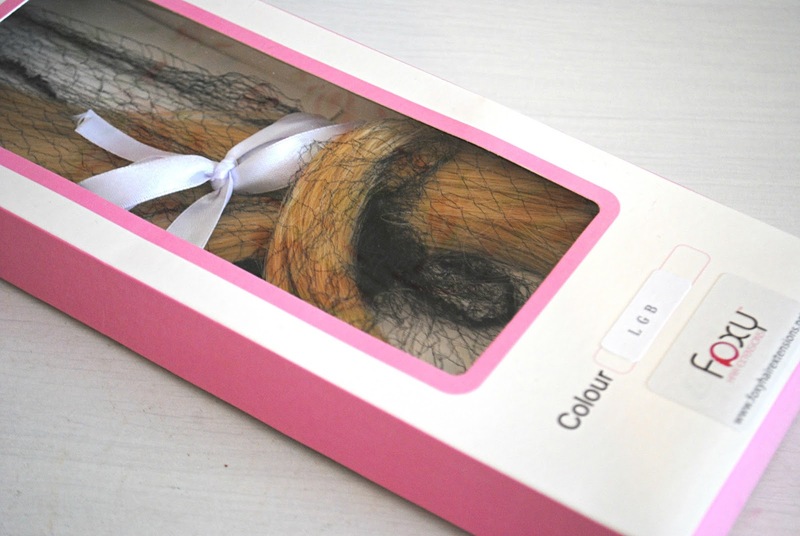 A fair while ago I received some synthetic clip-in extensions from Foxy Hair Extensions to review, and I thought it was about time I let you know how I got on with them. I received the synthetic 25 inch extensions in the shade Light Golden Blonde, which is near-enough a perfect match for my hair. I apologise for the images of the product looking a tad brassy and really, really golden - I took them in low light and that's just how they came out unfortunately. However, the pictures of them in my hair show their true colour. The extensions came packaged nicely, and to my surprise even came with a brush and two sectioning clips, which make it super easy to whack these babies on. 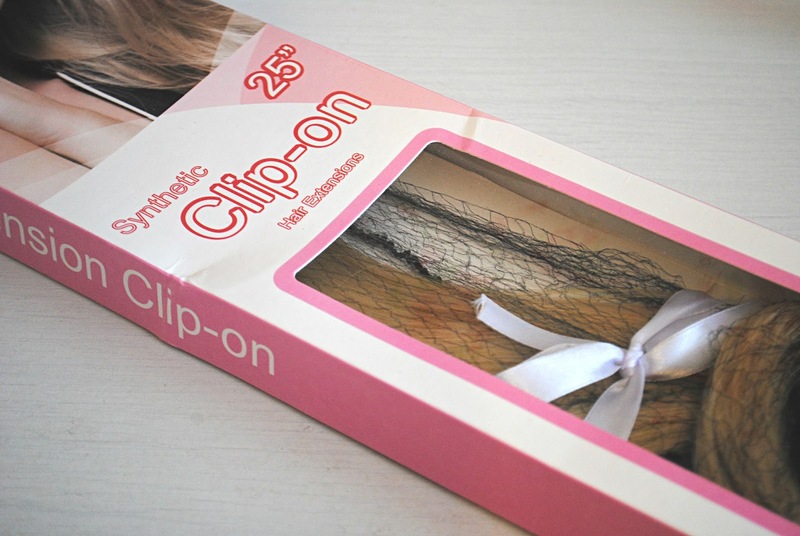 As they're clip-ins and all in one piece, it's a simple case of sectioning your hair and clipping these in. It takes me about five minutes, max, which is one of the things I love about clip-in extensions. Once on, these look and feel super soft and I adore how long they make my hair. Whilst they feel a tad heavy, it's not enough to annoy me and it's totally worth it for how great these look. Whereas a lot of synthetic extensions can't be heat-styled, these can to a certain degree, which is great if you want to wear them on a night out and curl/straighten your locks. I actually really like how these sit when they come straight out of the packet, so I'm yet to style them. 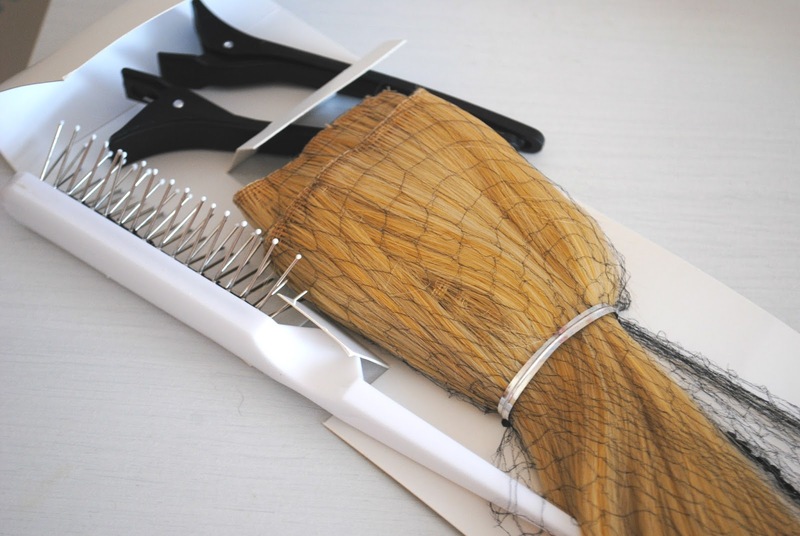 Whilst the synthetic hair can get a bit tangled and messy sometimes (I've found this with all the synthetic extensions I've ever had) if you look after it well it can last you ages. I really love these hair extensions and totally recommend them if you're looking for a cheap alternative to real hair, or if, like me, you simply prefer the idea of synthetic extensions.